These are SO cool! 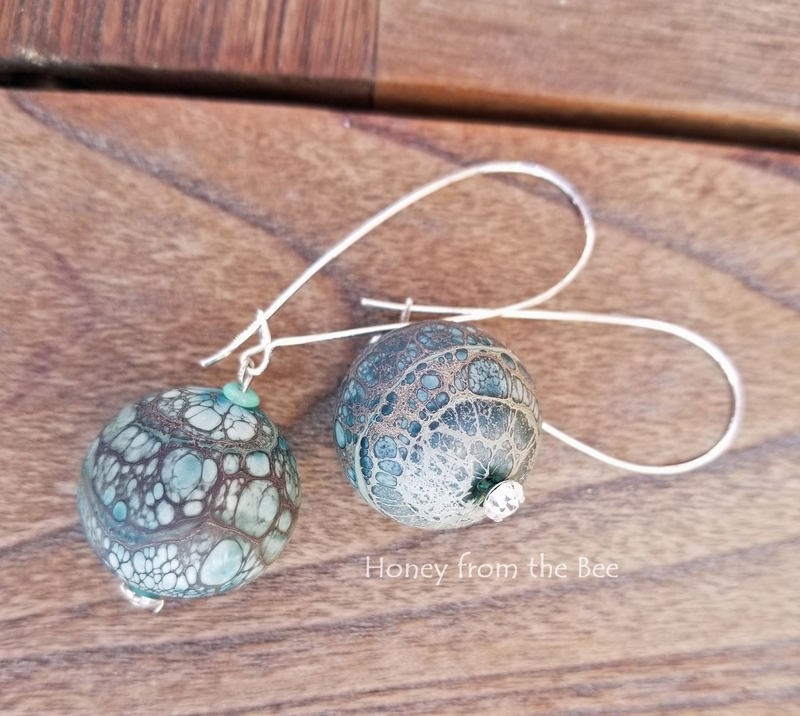 The beads remind me of that oil-slick look that bubbles have as they drift away. 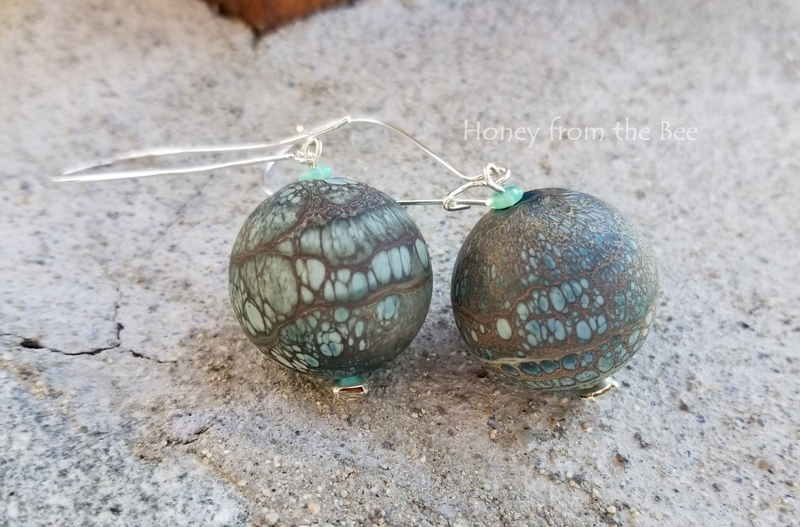 Bubbles and these earrings are SO MUCH FUN! 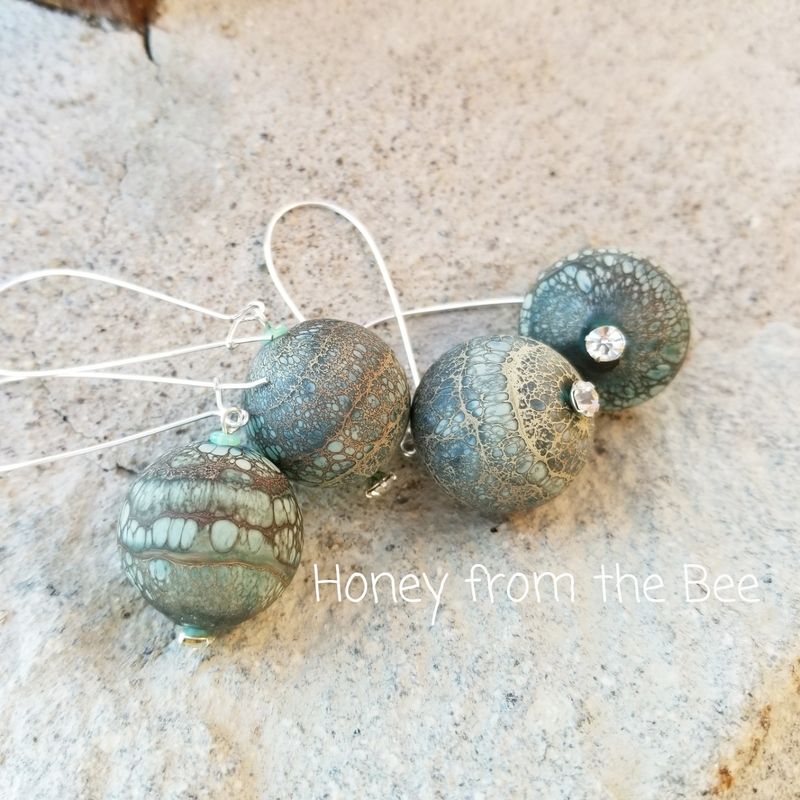 These special lampwork beads are hollow so although they look substantial, they're NOT heavy. I've put them on long earwires highlight them. Earrings are about 3 inches long from the top of the earwire to the bottom of the crystal. Sterling silver kidney wires are 2"